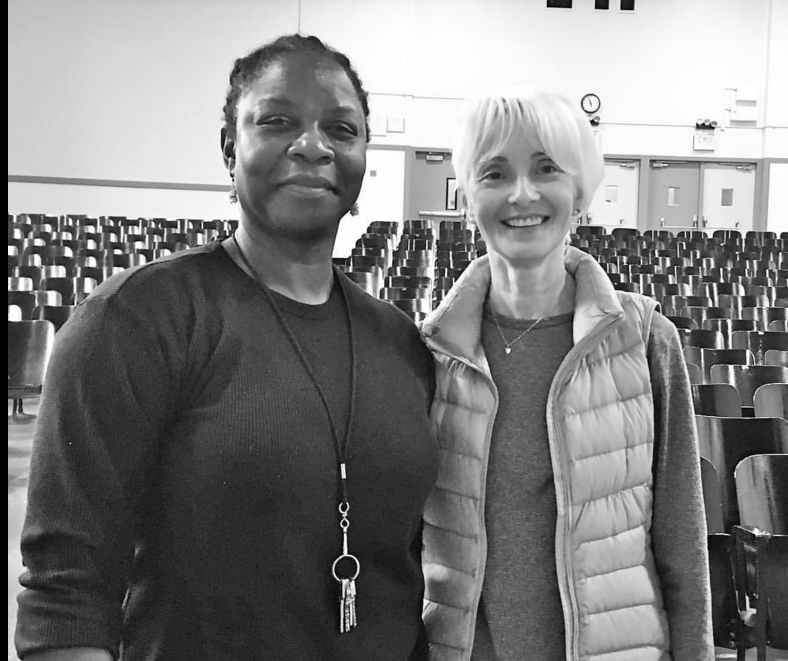 In collaboration with 10 Brooklyn public schools, MCGD brings lecture demonstrations of MCG Dance Technique and repertoire to students all across Brooklyn. 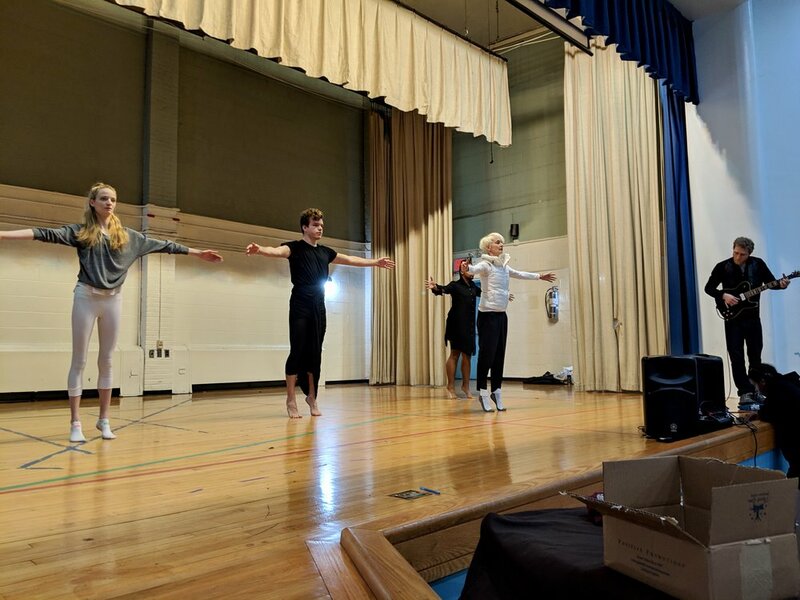 The program was created by Marie-Christine Giordano and Outreach Program Coordinator Mariah Halkett, and is implemented by Giordano and associate company dancers. 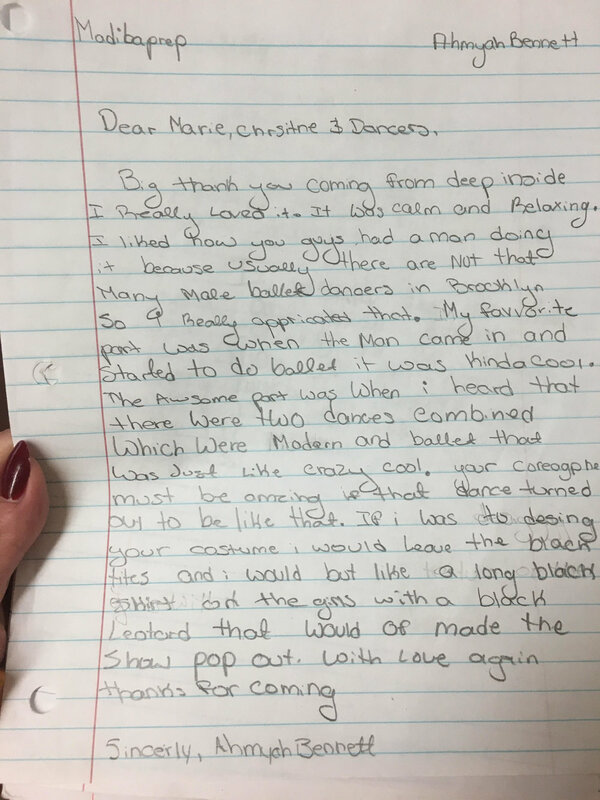 This program was developed and based on the fact that we strongly believe that dance is a much-needed expressive, transformative, healing, and unifying art form. We present thoughtful and moving pieces that explore core values of the dignity of all form of life. We use dance and movement forms to convey positive messages of hope, accomplishment, inclusiveness, and community that go well beyond language and cultural differences. 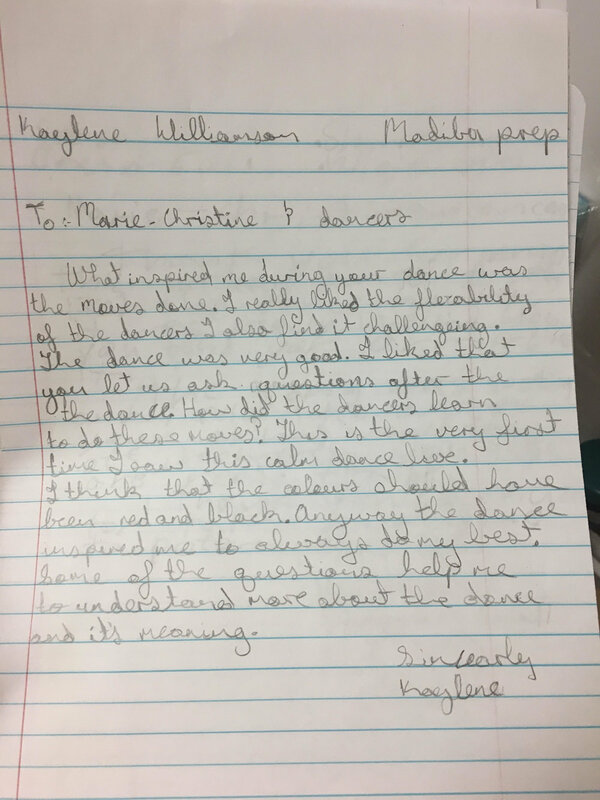 We aim at educating young people about the role of dance as an art form as well as inspire them through a unique experience that they would otherwise not have access to. 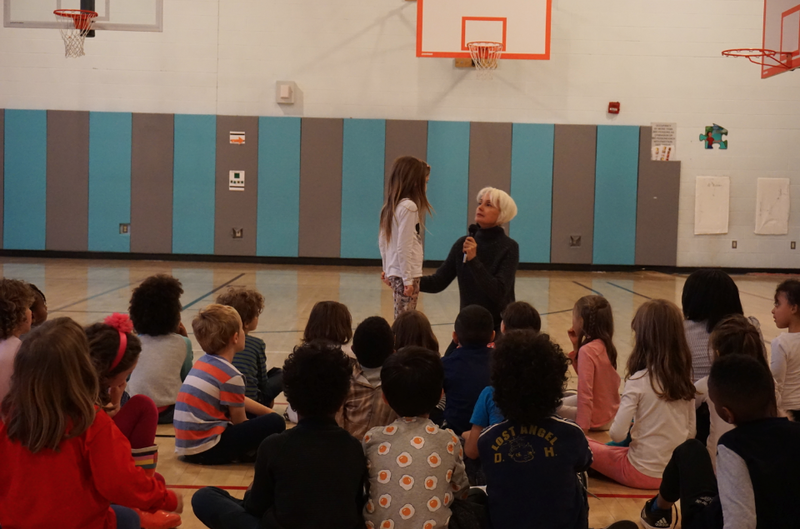 At each school, Giordano and company dancers visit during a 60-minute all school assembly; therefore all students enrolled can be in attendance. The dancers of MCGD take their love of dance and technical proficiency to the schools with the intention of making a lasting impression on the students. First, Giordano introduces the company and provides background information about what they are about to experience. We then present a 20-minute excerpt of MCGD repertoire. 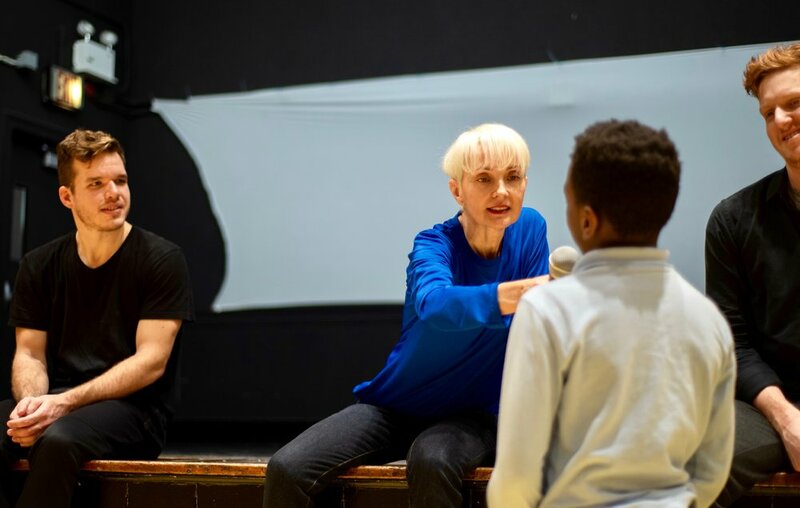 After the movement, Giordano, dancers, and school coordinator in attendance lead a 40-minute Q&A interactive session in which we give a context to the work, take questions, provide answers, and discuss the creative process and dance as a means of expression with the students. 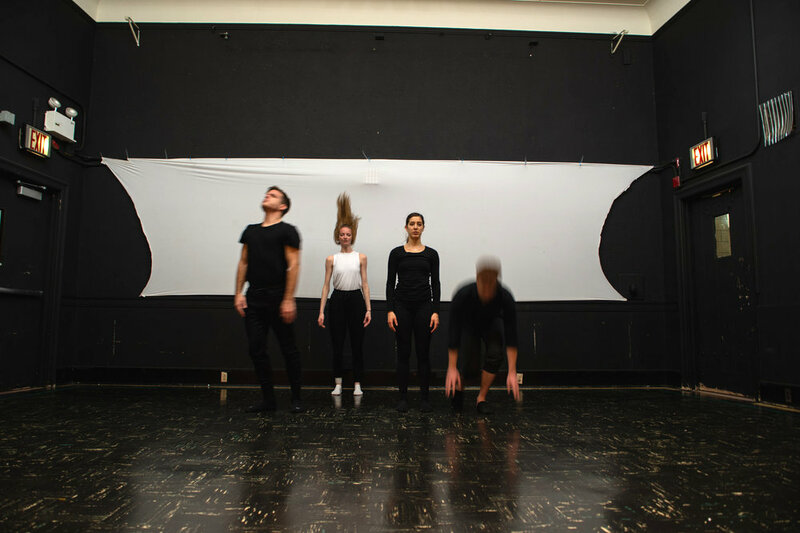 Included in the discussion is a description of what Modern Dance, Contemporary Dance, and abstract movement is as well as the emotions conveyed through movement. This program aims at fusing together the company’s professional excellence with dance education that provides life-changing impacts on youth. Each presentation supports MCGD's educational values and the belief that active participation in the arts can fuel creativity, confidence, problem solving, perseverance, focus, non-verbal communication, connection to a group, and dedication. January 24, 2019 at 1:20PM. Location: P.S. 221 Toussaint L'Ouverture is a NYC District school located at 791 Empire Boulevard, Brooklyn, NY, 11213. It serves Grades: PK,0K,01,02,03,04,05,SE.